UCI's Donald Bren School of Information & Computer Sciences began as a pioneering academic department in 1968. In 2002, the department became the first school of its kind in the UC system. It was named for its benefactor, Donald Bren, in 2004. The school includes three departments: computer science, informatics and statistics. Undergraduate students have an opportunity to pursue degrees in computer science, informatics, computer game science, software engineering, business information management, computer science and engineering, and data science. This diverse selection of majors enable students to gain in-depth knowledge of information and computer sciences while developing an understanding of the broad reach of the ever-changing discipline. The school enrolls more than 2,000 undergraduate students and more than 400 graduate students each year. Additionally, its students traditionally have one of the highest mean SAT and GRE scores on the UCI campus. 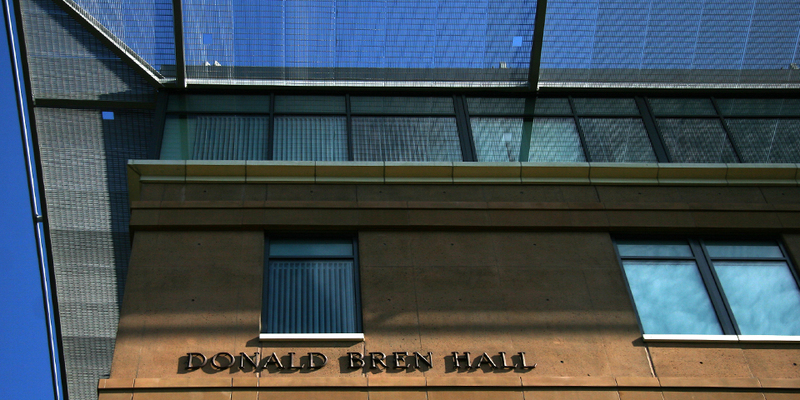 As the only computing-focused school in the UC system, the Donald Bren School has been a leader in computer science and information technology through its innovative and broad curricula, research and development of emerging technologies, and collaborations that address societal issues. The school is committed to ensuring excellence through inclusion, producing a diverse, educated workforce for advancing technology, stimulating the economy and transferring new technology into the public realm to advance quality of life. Faculty and graduate students are leaders in their fields, regularly obtaining competitive corporate and federal extramural grants, writing textbooks, publishing influential journal articles and participating in conferences and workshops around the globe. Building on a strong foundation of computer science fundamentals, the Bren School conducts highly interdisciplinary, cutting-edge research in a breadth of fields. Many faculty members and graduate students work on projects in biological and health sciences, engineering, social sciences, arts, humanities, education, business and law. Marios C. Papaefthymiou is a professor of computer science and the Ted & Janice Smith Family Foundation dean of the Donald Bren School of Information & Computer Sciences (ICS). He joined UCI in January 2017 as the third dean for ICS. Before coming to UCI, Papaefthymiou served as chair of computer science and engineering and professor of electrical engineering and computer science at the University of Michigan, where he was a longtime advocate for innovation in education. Prior to his appointment as chair, he was the director of Michigan’s Advanced Computer Architecture Laboratory for 11 years. He also spent three years teaching at Yale. 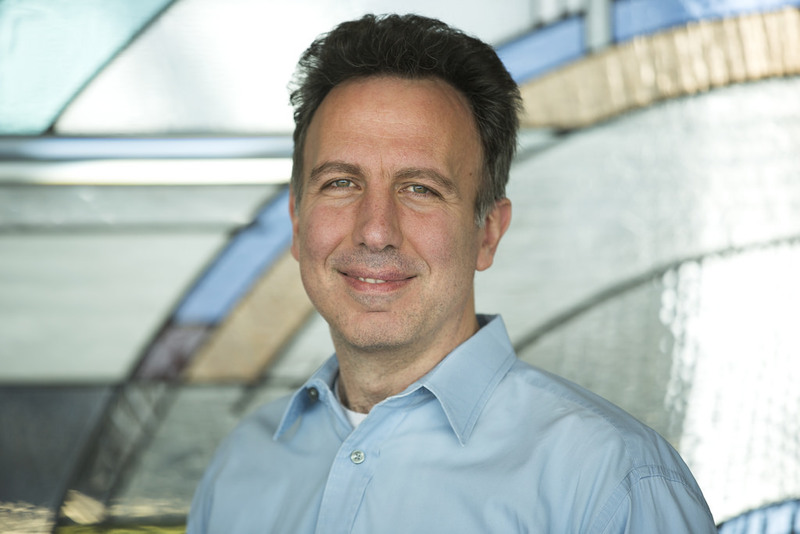 His research addresses a broad spectrum of problems in computer design with an emphasis on architectures and design methodologies for energy-efficient, high-performance computers. As an expert in energy-efficient computing, Papaefthymiou has authored more than 100 publications on the subject and is co-founder and Chief Scientist of Cyclos Semiconductor, a startup specializing in energy-efficient chips for power-critical applications. His many accolades include a Young Investigator Award from the Army Research Office, a CAREER award from the National Science Foundation and several IBM Faculty Partnership Awards. Papaefthymiou grew up in Athens, Greece, and studied for two years at the National Technical University of Athens before transferring to Caltech, where he earned a bachelor’s degree in electrical engineering. He then went on to earn his doctorate and master’s degrees in electrical engineering and computer science from MIT. U.S. News & World Report ranked ICS as the 23rd best global university for computer science. U.S. News & World Report also ranked the Donald Bren School 29th for graduate computer science programs in 2014. ICS faculty were ranked the 21st most influential group in the U.S. by Microsoft's Academic Search in 2013. A partnership with Intel established the Intel Science & Technology Center in Social Computing, one of seven centers in the U.S.
Six faculty members hold Chancellor's Professorships in the Bren School including Pierre Baldi, Nikil Dutt, David Eppstein, Michael Goodrich, Richard Taylor and Gene Tsudik. Bren Professors of ICS include Michael Carey, Ramesh Jain, Gary Olson and Judy Olson. ICS faculty include 14 fellows of the Association for Computing Machinery, six fellows of the Institute for Electrical & Electronic Engineering, four fellows of the Association for the Advancement of Artificial Intelligence, four fellows of the American Association for the Advancement of Science , three fellows of the American Statistical Association and three fellows of the Institute for Mathematical Statistics. Some of the school's notable alumni include Roy Fielding, co-creator of HTTP (Hypertext Transfer Protocol); Paul Mockapetris, creator of the domain name system (DNS); and Tim Kashani, CEO of IT Mentors and a Tony Award-winning Broadway producer. The school fosters partnerships with the corporate community to enhance the flow of research, technology, talent and personal contact between the school and high-tech companies. The Corporate Partners Program ensures that ICS builds lasting relationships that foster technological excellence and innovation while creating opportunities to share new knowledge. ICS faculty have a range of expertise across disciplines including artificial intelligence, machine learning, statistics, biomedical informatics, health and technology, computer architecture and embedded systems, computer games and virtual worlds, databases and information systems, human-centered computing and human computer interaction, security and privacy, big data, and software engineering. Additionally, ICS faculty members conduct research within the California Institute for Telecommunications & Information Technology (Calit2), one of only four Institutes for Science & Innovation in the UC system.